I should be working on my 12 Days of Christmas Home Tour but I recently just finished up this beauty and can no longer contain myself! I have to share it with you first. 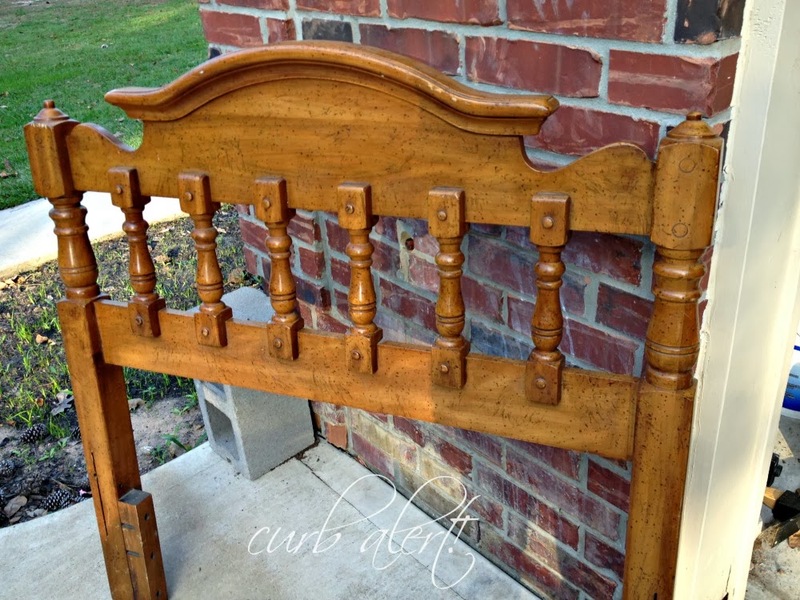 Old Twin Headboard – looks like something that one of the Brady Bunch boys slept in, don’t you think? Of course I loved on it a bit and worked a little CHRISTmas magic. Do you want to see it now? 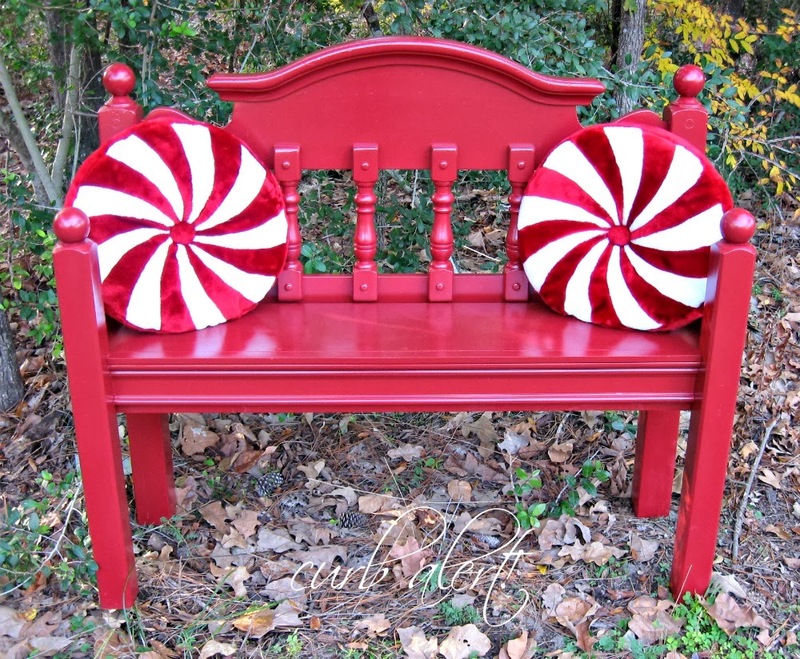 I’m on a bit of a bench roll and really crushing on them lately! 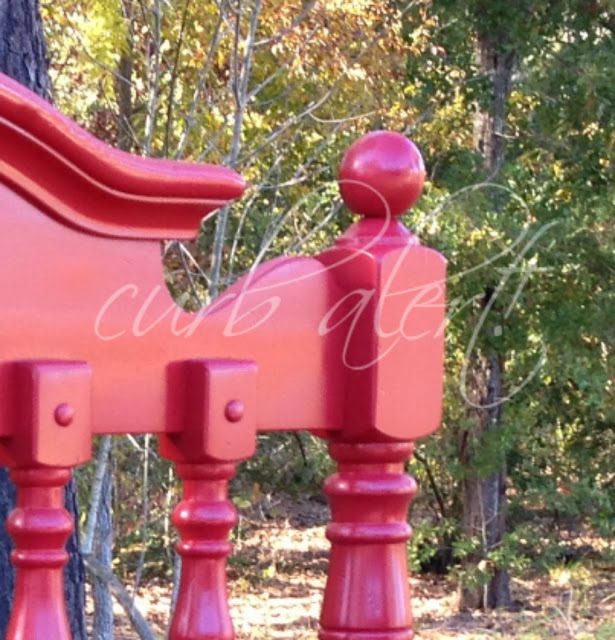 Let’s just say I am hooked and have a few in the works….hopefully to sell in my Renewal Shop! A little nip here and tuck there and a few hours later she turned out fantastic! You know how much I LOVE red! I just couldn’t resist to use it on this gal. The name suits here well don’t you think? 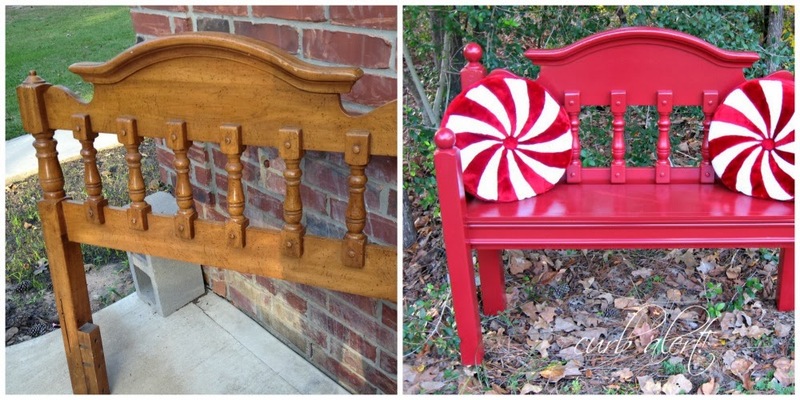 How many angles can you possibly photograph a bench? … not enough obviously! I cannot help it, it looks so pretty! Sell her in my Renewal Shop, yeah right! Somehow I convince myself that I need to keep each creation and they never make it out the door. It definitely puts me in the CHRISTmas spirit! Tell me what you think, would you be tempted to keep her too??? P.S. 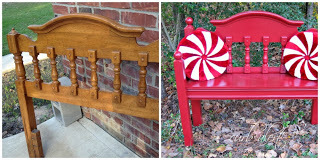 Don’t forget to check out the 12 Days of Christmas Home Tours featuring new blogs each day! You can see what I did with my Headboard Bench in my home. I may or may not be ready by Thursday, wish me luck! I absolutely love the red. I wish you lived closer because I would be begging you to sell it to me. I keep thinking how cute it would be in my entry. 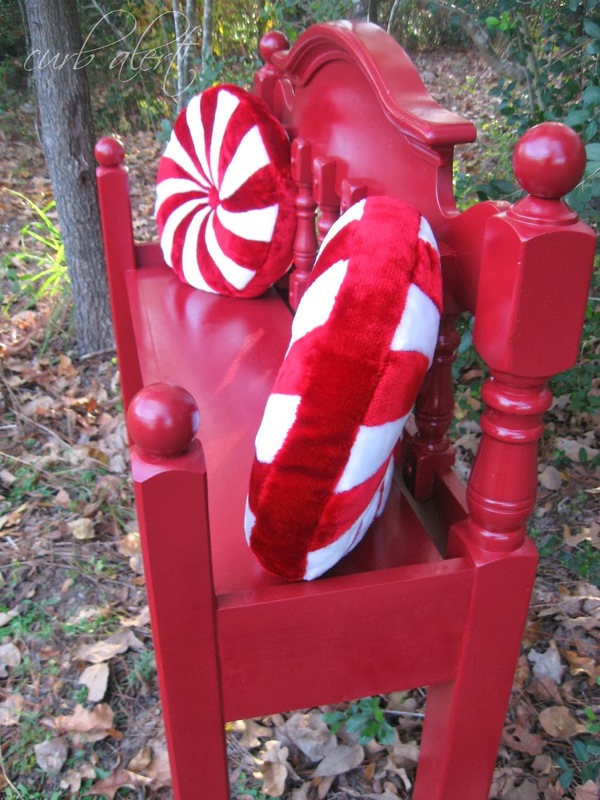 I am so glad you went with the red. Yes, keep it!!! Gorgeous, Tami! You really did a beautiful job with this piece! absolutely beautiful! and those peppermint pillows are the perfect touch. putting those pillows on there totally makes me love it more! Wow! 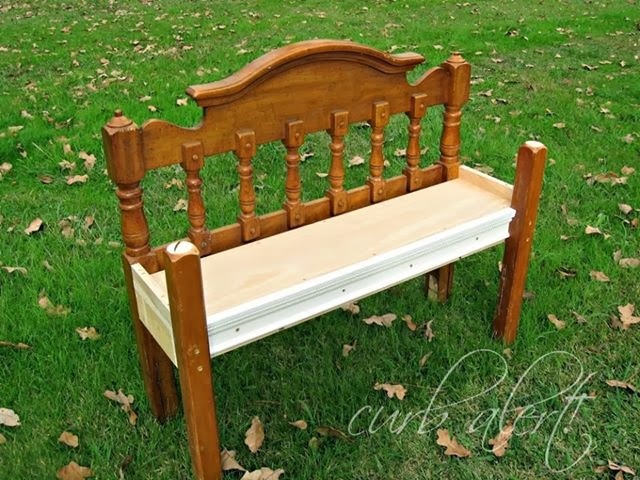 That headboard/bench is a beauty and those pillows make it perfect for the Christmas Holidays but that would be beautiful anytime of the year not only on a patio but like somebody else mentioned an entry way/foyer, or as a telephone gossip bench. 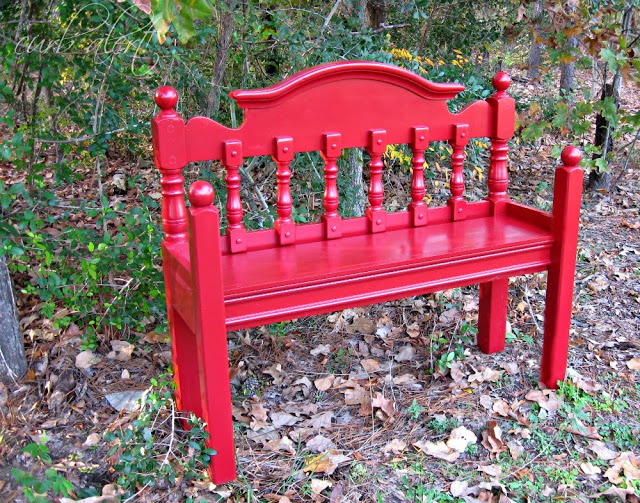 I recall my Aunt's last boyfriend gave her a gossip bench so she could sit down and talk on the telephone. Your bench reminded me of her and his gift to her. She was in her 80's then and still had the dial telephone..passed away in 1969 but have so many beautiful memories of her. 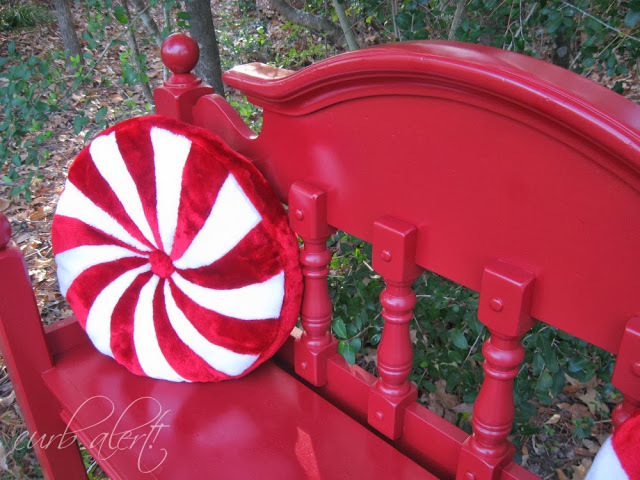 How can we pin that beautiful red bench from Peppermint pattie?